The Remarkable Rainforest was the first book published by Trickle Creek Books, and it continues to be our best seller. The destruction of rainforests is one of the most critical environmental problems on Earth. We’re grateful that so many parents and teachers are helping children learn about this problem and encouraging them to help solve it. We are proud of being recognized by major publications. Read what they have to say about this book. "This book is not just for reading—it's an activity book packed with nature experiments, crafts, recipes, puzzles, riddles, mazes and quizzes. What better way to learn about the rainforests and their plight." "The Remarkable Rainforest brings children closer to nature. 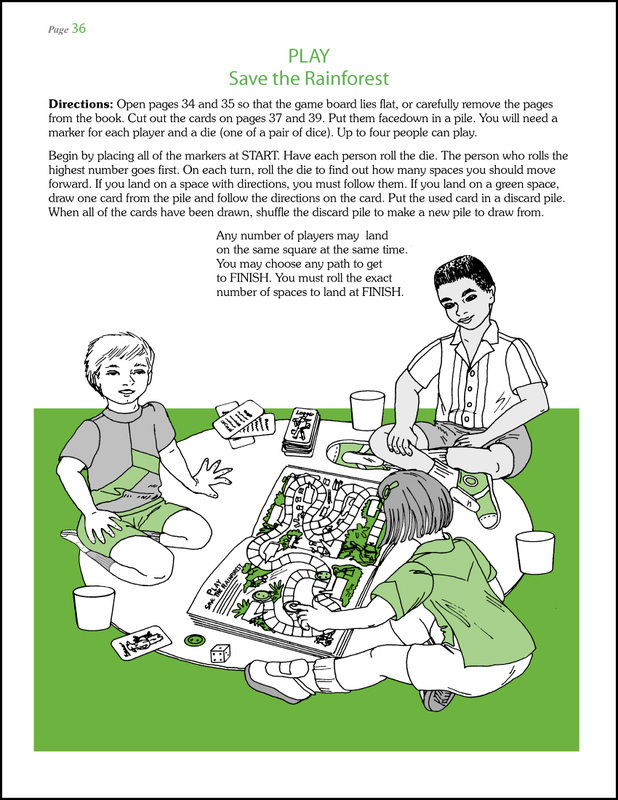 This colorful activity book is loaded with hands-on tips....Keeps kids entertained and informed." "The Remarkable Rainforest...is a good resource for 4-through-8 grade teachers planning to include rainforest education in their curriculum....Kids learn about the physical environment of the rainforest, rainforest cultures, and causes of rainforest degradation. The guide explores the specific causes and consequences of rainforest destruction." "The Remarkable Rainforest combines learning about the environment and fun...to inform children about the plight of the world's rainforests." "This is a paperback book that is printed entirely in black and white and green. 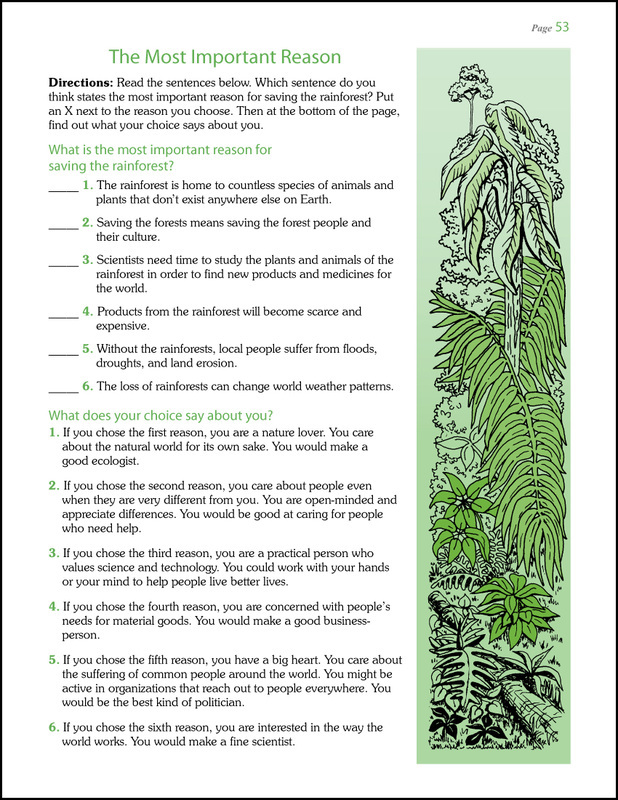 It is not only full of enough knowledge of the rainforest that my fourth grader is ready to make Save the Rainforest signs, but it has hands-on activities galore for all kinds of science projects and games." 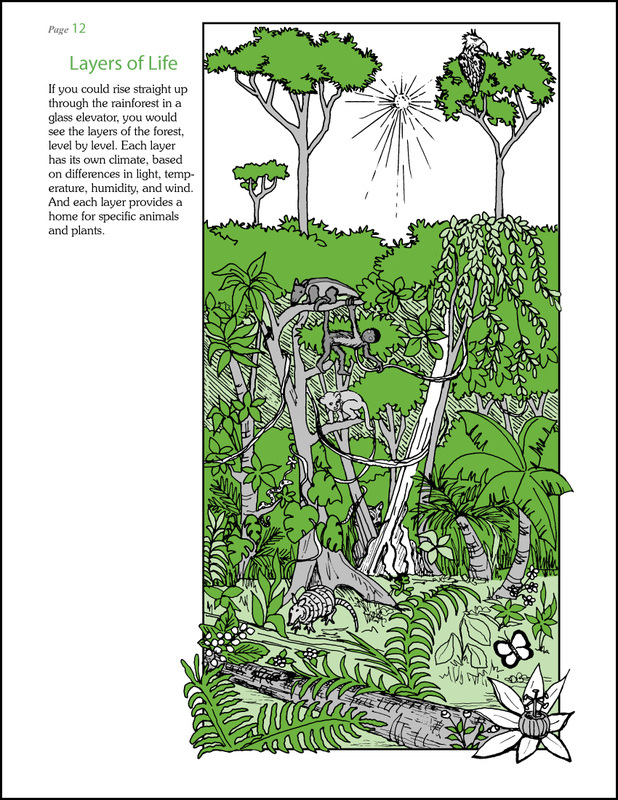 "This book contains information and activities to help students learn about rainforests and what can be done to save them. Journal entries from the author's trip to Costa Rica are used to introduce new sections, while maps, photographs, and illustrations complement a simple scientific text. Every page provides some activity. In one experiment, students grow a pineapple to see how this type of plant catches water in its leaves." A new two-page photo journal that takes kids on a rainforest adventure. A new page of exciting rainforest activities, such as attracting a rainforest bird to your backyard, making rainforest potpourri, and visiting a Rainforest Cafe. A new page with directions for making an indoor rainforest. The author's "Rainforest Journal" about her adventures in the Costa Rican rainforests, which makes the forest "come alive" to children. Learning resources, including a glossary, a bibliography for kids, lists of rainforest exhibits and environmental organizations, and favorite rainforest web sites. Dozens and dozens of activities that are challenging and fun. Toni Albert and her husband Bob Albert have explored rainforests in Mexico, Costa Rica, Belize, Guatemala, Panama, Peru, and Granada. They hiked in rainforests with experienced guides and traveled by boat through the waterways that penetrate the forests. After their first adventure in Costa Rica, Ms Albert returned to their home in Pennsylvania, eager to write a book for kids that would communicate the incredible beauty of the rainforests and the critical need to preserve them. “When we finally hiked into the rainforest, it was like entering a great theater lit with green light. The audience was noisy though. There was a racket of hissing, croaking, calling, buzzing, peeping, and chirping. Toucans chattered in the balcony while an orchestra of insects tuned up strange instruments." why they are important, how they are threatened, and how we can help save them. Learn how to get a "crocodile eye"